Having a web presence is no longer optional for any business organization. People have become aware of the various advantages of having a website that is representative of their business on the internet. But due to time and money constraints developing a responsive and SEO friendly website becomes difficult for many. 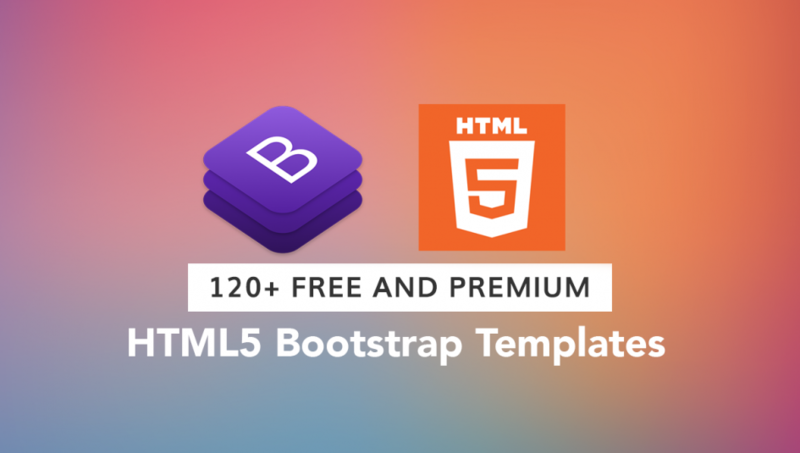 Hence, we have compiled a list of more than 120+ free bootstrap html5 website templates that would make your task easy. You can easily use these templates and upload your website in an hour’s time. The biggest advantage of using these templates is that they will cost you nothing!. So, go ahead and choose a template that suits your particular business requirements. 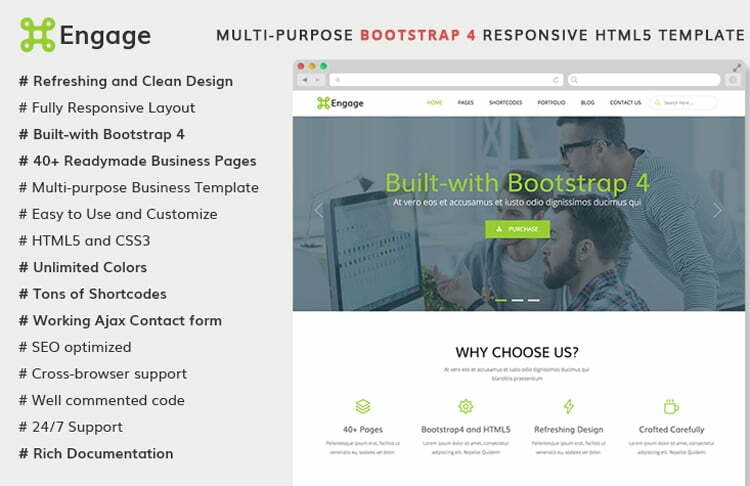 Engage is a multipurpose template that has been developed using bootstrap4. It has more than 40 pages that can be easily used to build a professional looking website. The template is mobile responsive, SEO friendly and cross browser compatible. It has a clean design with unlimited color options. 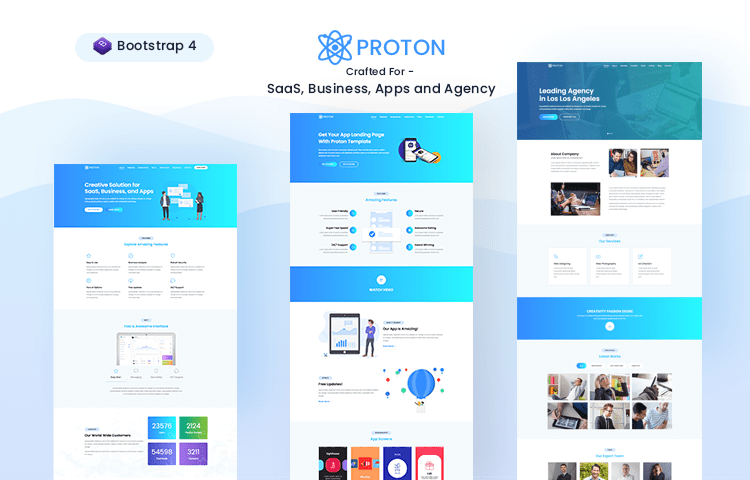 Proton is Multipurpose Free Bootstrap 4 Template, Specially crafted for – Software as Service (SaaS), Web App, Mobile App, Agency and Other Landing Pages. Its is very well-designed with overall focus on UI, UX and Cool Features. If you are looking for a trendy and ideal landing page template, proton is perfect choice. 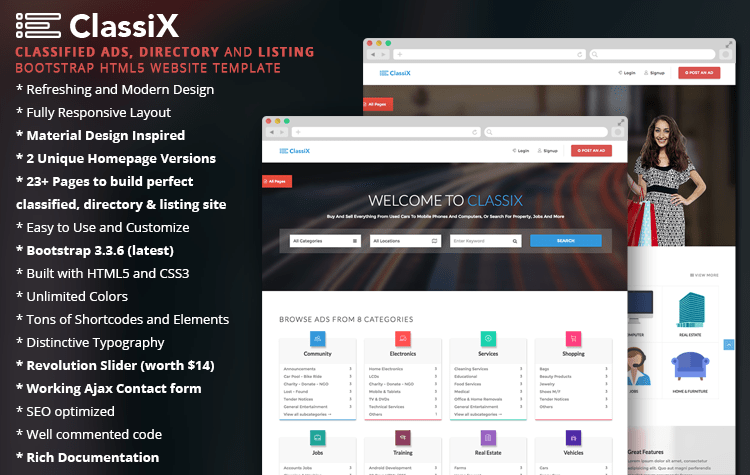 Classix is a fully responsive and SEO optimized template that works well for classified ad sites or directory listings. It has 2 homepage designs and more than 23 pages. An easy to customize template, it comes with rich documentation. 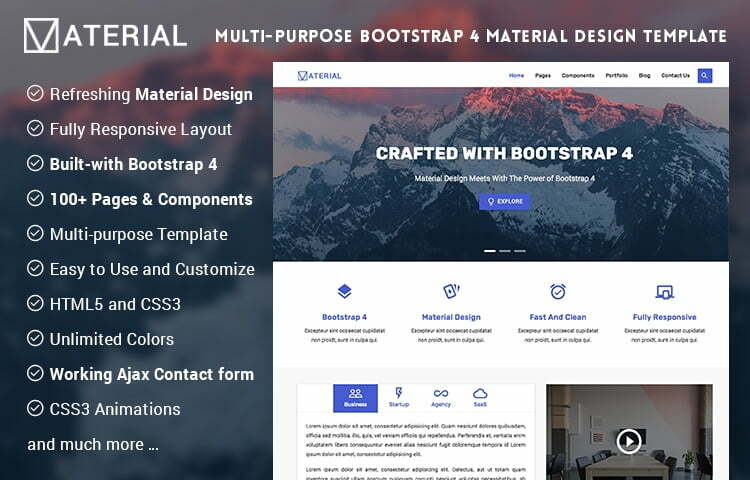 Material is a multipurpose template that has been developed using bootstrap 4. The template has a material design with unlimited colors. It has more than 100 components, 20 pages and 300+ icons. The template works on all kinds of screen resolutions and comes with a variety of plugins. It is easy to set and customize and is fully supported by the team. 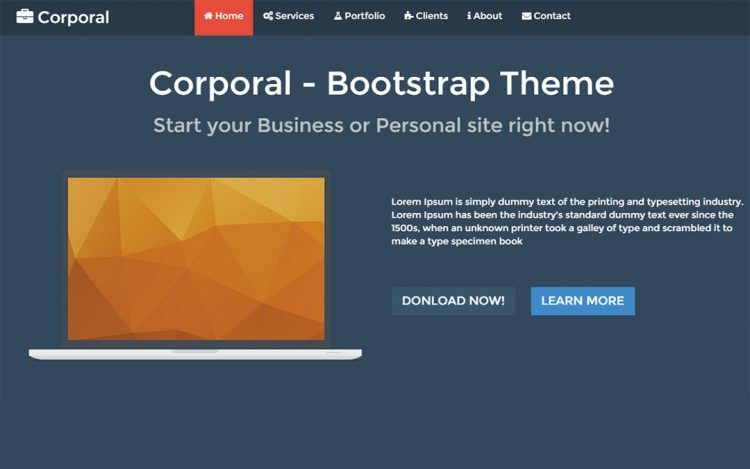 Corporal is a one page template that can be used for corporate as well as portfolio websites. It is a responsive template that has a contact form and portfolio gallery. 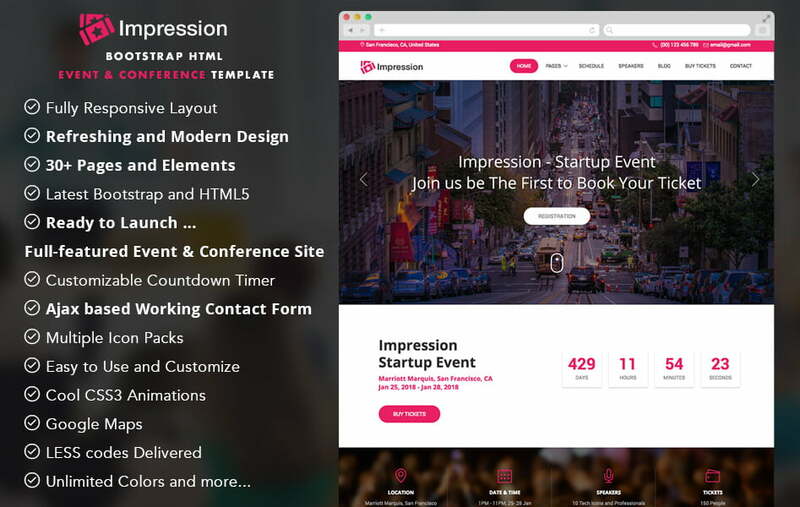 Impression is an event template developed in HTML5. It has a customizable countdown timer and multiple icon packs. It has more than 30 elements and pages that can be easily used and customized. 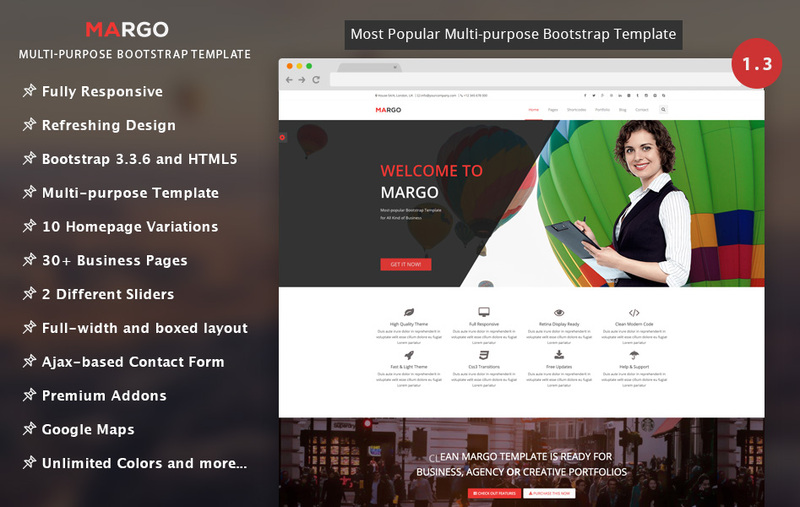 Margo is a multipurpose template that can be used for a variety of business websites. It is an easy-to-use template that features boxed layout, contact form, Google maps and so on. It has ten homepage variations and more than 30 business pages. It is mobile responsive and is cross browser compatible. It has a well-commented code that makes customization quite easy. It is also supported by the team 24X7. 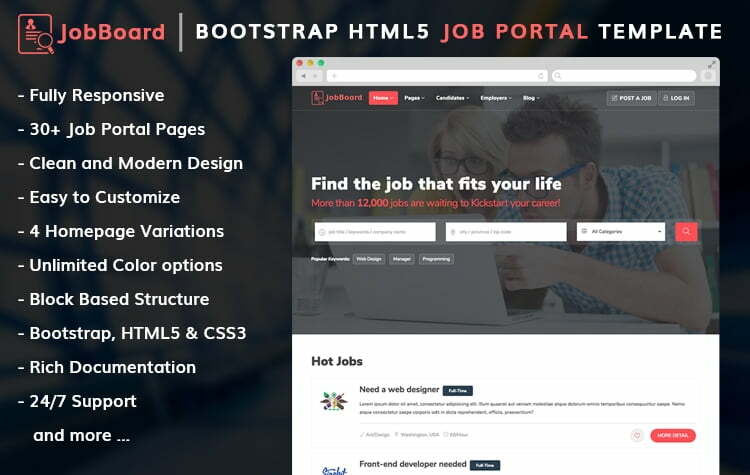 JobBoard is a bootstrap job portal template which is based on HTML5. This high-quality template is great for professional job portal website. This template comes with over 30 pages, and each page contains clean and modern design. This template is fully responsive, and this has cutting edge feature. JobBoard has 4 homepage variation so that you can change your homepage anytime. 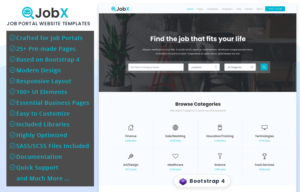 This template is specially made for Job Portal, Job Directory, Job Listing, Job Marketplace, etc. 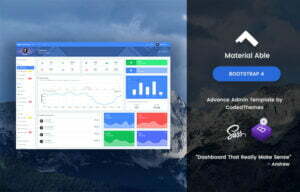 Inspire Lite is another dashboard as well as admin template that has more than 15 designs and related pages. It is a great template with more than 100 UI components in it. It is based on HTML5, Bootstrap 4 and SASS. Therefore, the template has a very responsive layout. It has more than 500 icons and a 2-icon package. All the essential pages are included in this package. 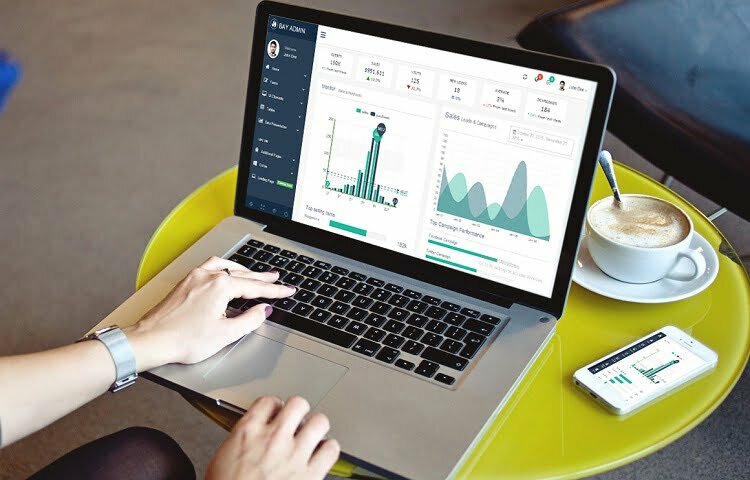 It is one of the best templates available that can help in designing one of the most modern admin dashboards. Mate is a free template that can be used for various business websites. Some features of Mate are interactive parallax scrolling, clean design, fully responsive and easy to customize. Helium is an ideal template for building small or large scale business websites. It has a simple and user friendly interface with over 100 components. It is developed using the latest technologies and is hence responsive and all browser compatible. It has add-ons like icon packs, owl carousel, form validator and so on. 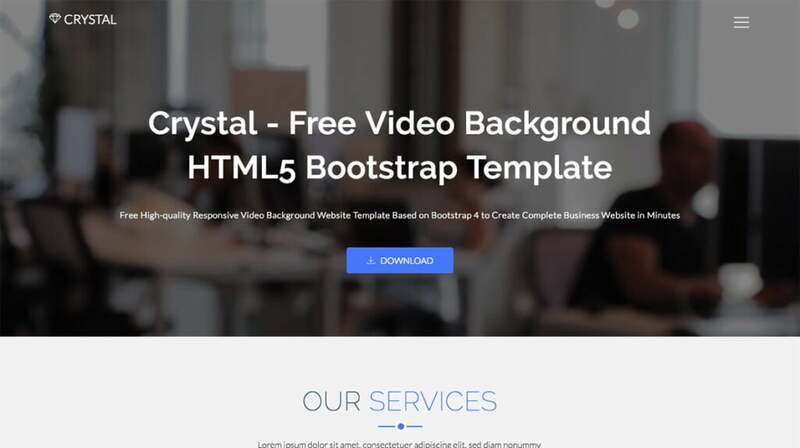 Crystal is a free template in the corporate category that is developed using HTML5 and bootstrap 4. The template has a video background and parallax sections. A fully responsive template, it has features like offcanvas menu, CSS3 animations and filterable portfolio. 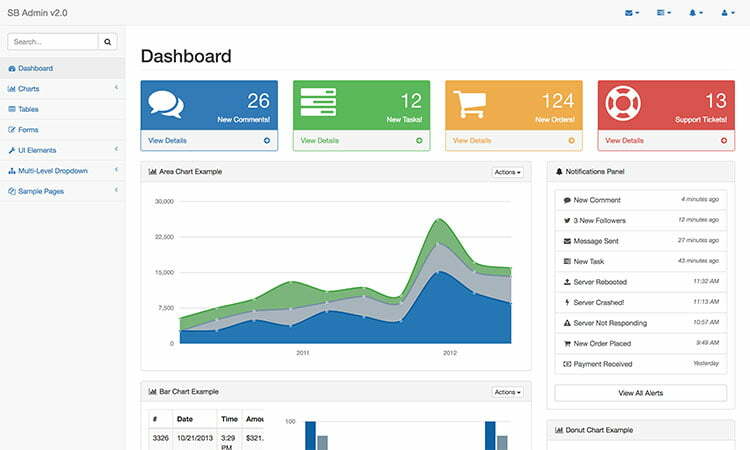 Gentelella is an admin template developed on bootstrap framework. It includes features such as calendar, charts, progress bars, notifications and date range which are useful for admin panels or dashboards. 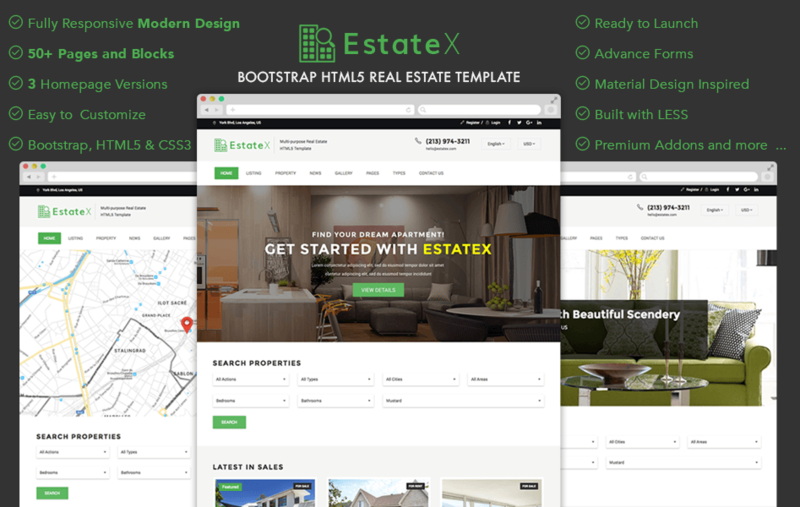 EstateX is Highly-Professional Responsive Bootstrap HTML Real Estate Website Template. This Real Estate Template Specially, crafted for real-estate agency, real-estate showcase, real estate listing or any property related website. EstateX is great choice. It comes with 50+ Ready to use pages and blocks so, you can get start your real estate project easily. 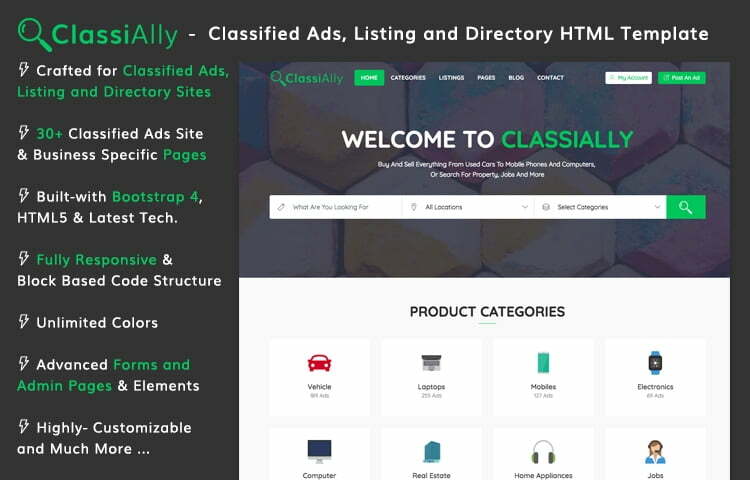 ClassiAlly is awesome free and premium bootstrap template specially crafted for listing, directory and classified ads websites. This template is very well designed and comes with tons of pages and blocks to get started your project in not time. Landing zero is a free single page template which can be used as a landing page for any business site. Features of this template are a video background, smooth scrolling, multi-column footer and responsive design. 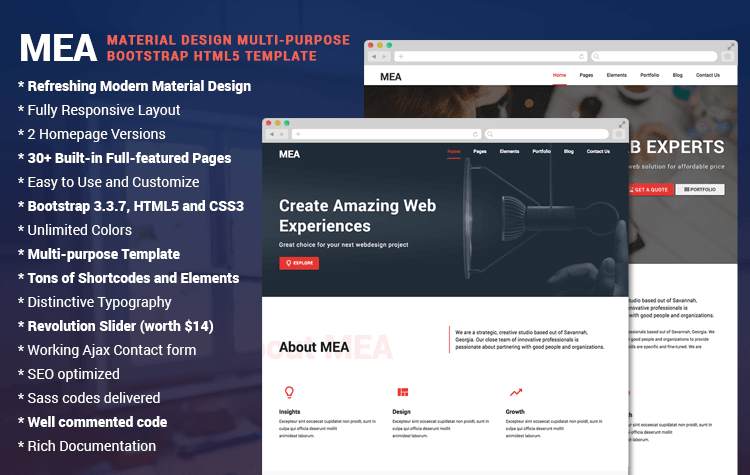 MEA is a multipurpose template that has a material design. The template has 2 home page versions and more than 30 pages. Some features of this template are fully responsive, SEO optimized, unlimited color options and easy to customize. MeetMe is a free HTML5 template that is ideal for portfolio webpages. It effectively showcases experience and skills that helps to promote oneself in a professional way. Some features of this template are sortable portfolio, offcanvas menu and clean user interface. It has more than 200 icons and 10 unique sections. The template has 2 homepage variations. It is fully responsive and has some useful plugins. It includes full documentation and hence is easy to customize. ConBiz specially crafted for Builder Companies, Construction firms, Real Estate Agency and related firms. 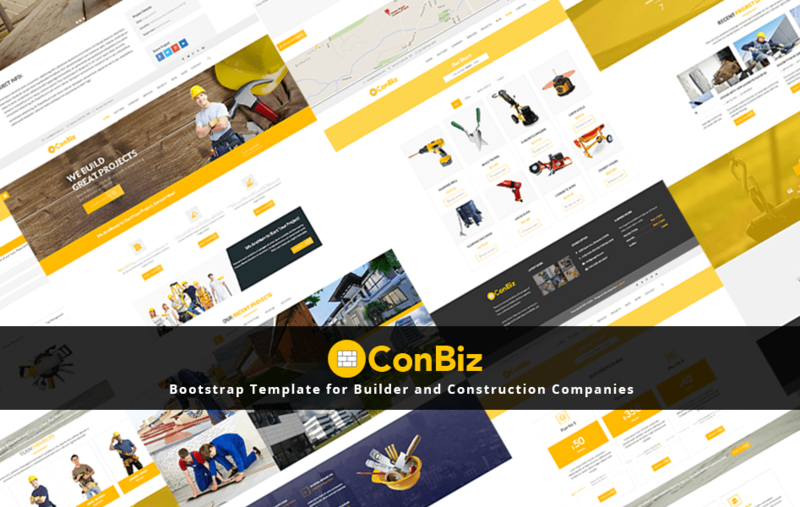 It’s a Premium and Free Bootstrap Template for Construction and Builder Companies. This Multi-purpose Industry Oriented Template is best suited for Construction, Real-Estate and Builder Companies. 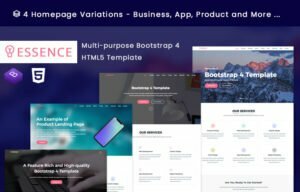 It is great, professional and easy to use Template with all cutting-edge features including 6 Homepage Variations, Premium Addons, 30+ HTML Files. So, making a site for Construction and Builder Companies is just click away!. Pluto is a template that is based on Google’s material design. It is suitable for businesses and startups. The template has lots of business elements and a clean design. It is an easy to customize and cross browser compatible template. 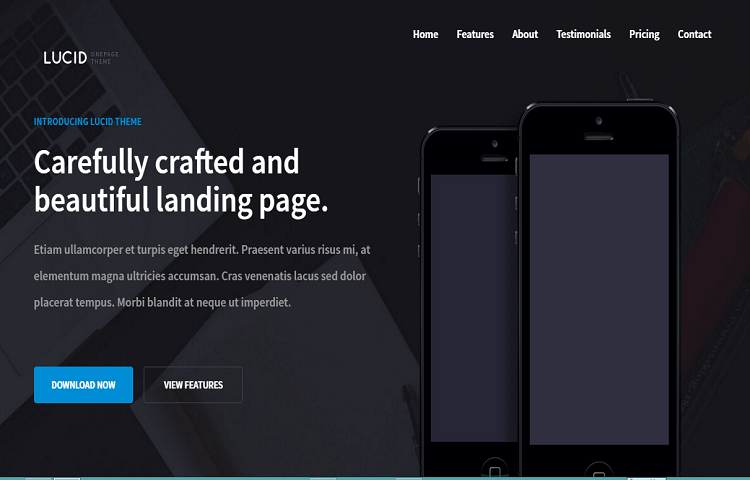 Free Responsive Multipurpose Landing Page Template for Product, App and Business landing page. 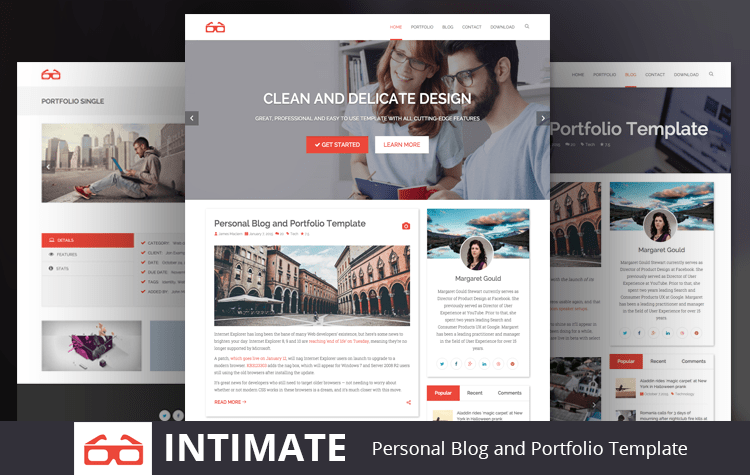 Intimate is a HTML5 template that is suitable for personal blogging or portfolio website. This mobile friendly template has 3 homepages. It is an easy-to-use and customize template with features such as multiple icon, HD ready, Google map integration and 24X7 support. 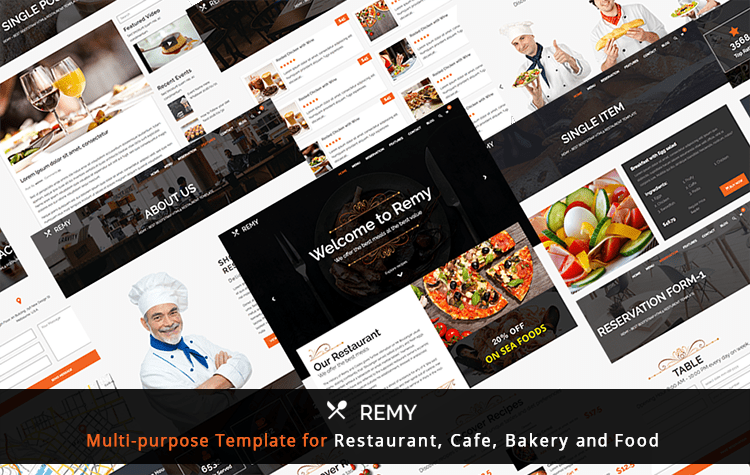 Remy is an easy-to-use template that can be applied to a variety of catering websites. It has more than 15 pages and elements that have a clean design. Some features of this template are excellent color schemes, HD ready, Google maps and more. 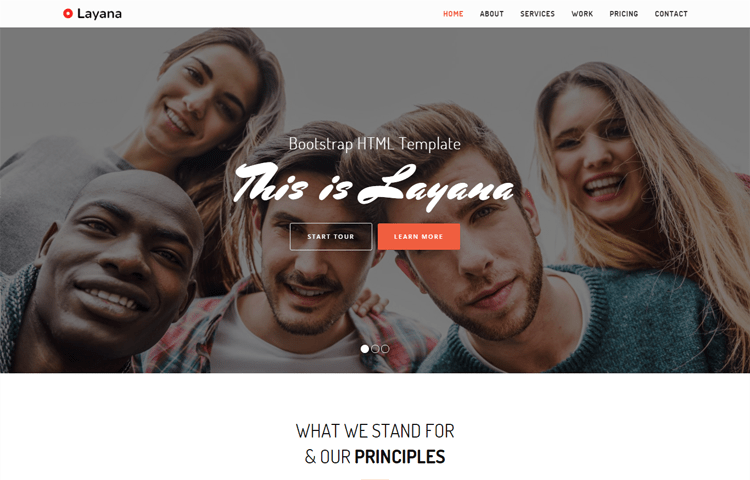 Layana is a multipurpose template that has been developed on the bootstrap framework. This one page template is fully responsive, cross browser compatible and easy to customize. Effacy is a great and easy to use Twitter Bootstrap based portfolio template for those people who want to flourish themselves as a creative persona. 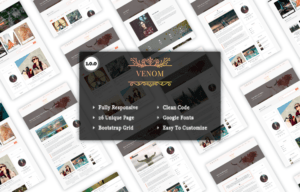 This well documented and organized theme comes with 5 homepage variation, 5 different Color schemes and many handful things that you never imagine. 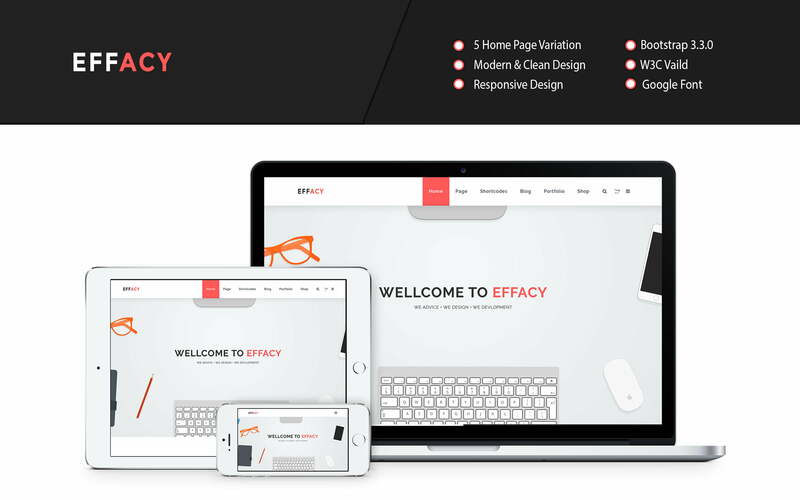 Effacy is the great theme to choose and suitable for your portfolio purpose. You can guess the design of this template. Yes, it is brighter than other templates. 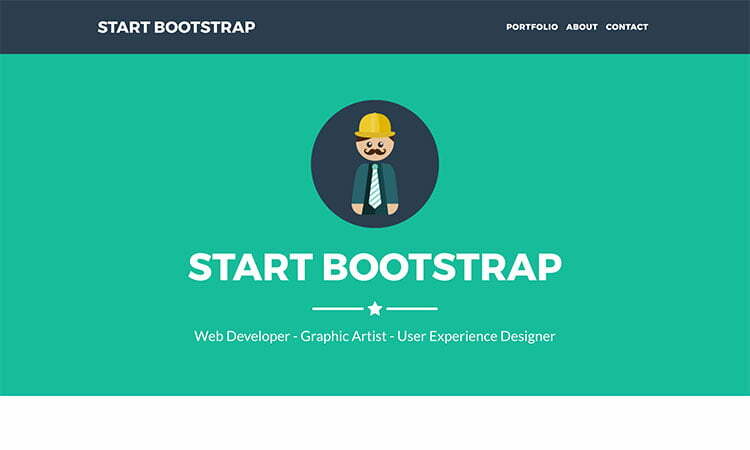 It is free and premium Bootstrap template which is based on HTML5. This template is specially made for college, school, university, LMS portal and so on. This is clean designed, high quality, professional template. This template has a well-documented code. Kreativ is an elegant template that is suitable for portfolio or agency websites. The template is not only easy and quick to set up but can also be customized according to requirements. It comes in single and multiple page options. Mobile responsive and fully documented template, it is also ably supported by its team round the clock. 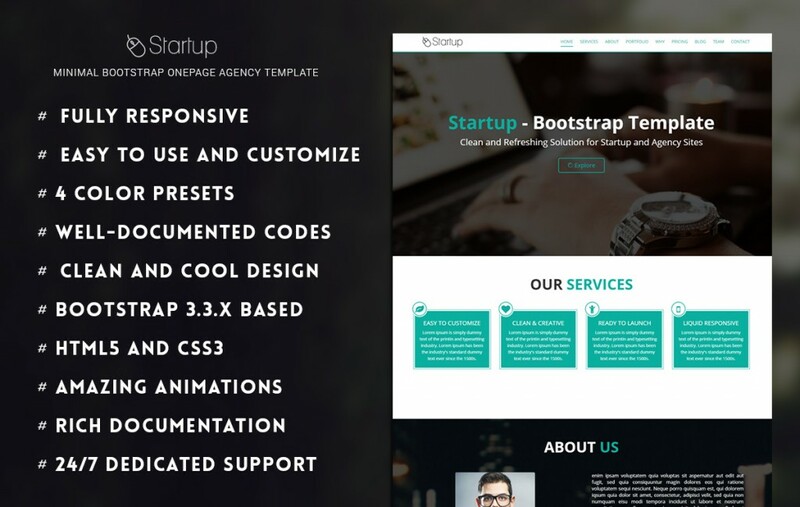 Startup is a template that is suitable for agency or business websites. Some features of this template are clean design, comprehensive documentation, 100% responsive and easy to customize. 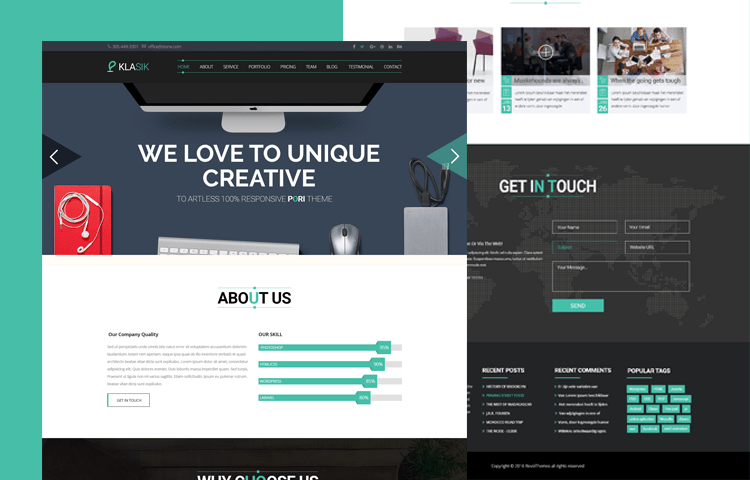 Klasik is a free template that has been developed using the latest technologies. Fully responsive and easy to customize, this template is ideal for companies, startups and portfolio websites. The template has 3 home pages and many element pages. The code of the template is well commented, and it comes with full documentation. All this makes it easy to customize according to requirements. Rage is free template that can be used for creative as well as business websites. It has a clean and 100% responsive design. It has been developed using CSS3 and bootstrap and is compatible on all browsers. Exigo is a template that can be easily used by photographers, graphic designers and bloggers to showcase their portfolio. It has a minimalistic approach towards design and looks great on all types of handheld devices. 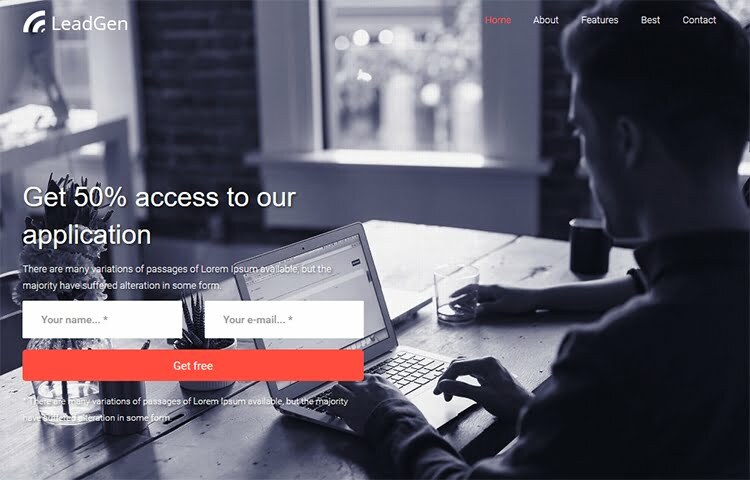 Expertum is a free HTML5 template that works well as a landing page. It has a modern and eye catching design that looks great for any type of business website. When a better option hanging around you? What will you think? i know you always think about the better option. So grab AppBox and it would be your another better option to present and promote your startup mobile app website. It includes latest framework of Twitter Bootstrap, clean one page HTML and easily meet your needs. Keep what you want and ditch what you don’t need! ohh this template is absolutely free for you. Applayers is a one page template ideal for application development websites. The design of the template works well on all types of devices and screen resolutions. This template can even be used as a coming soon webpage. 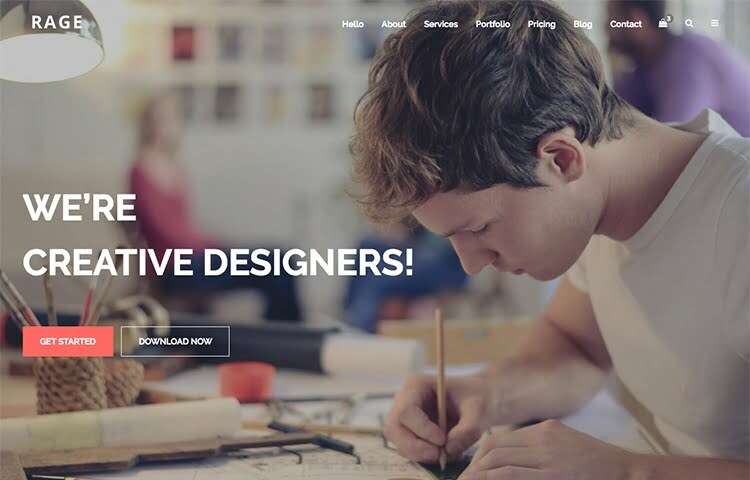 Folio is a free template that is suitable for portfolio websites. The template is fully responsive and easy to customize. It is fast loading and has features such as smooth scroll, retina ready, awesome fonts and so on. 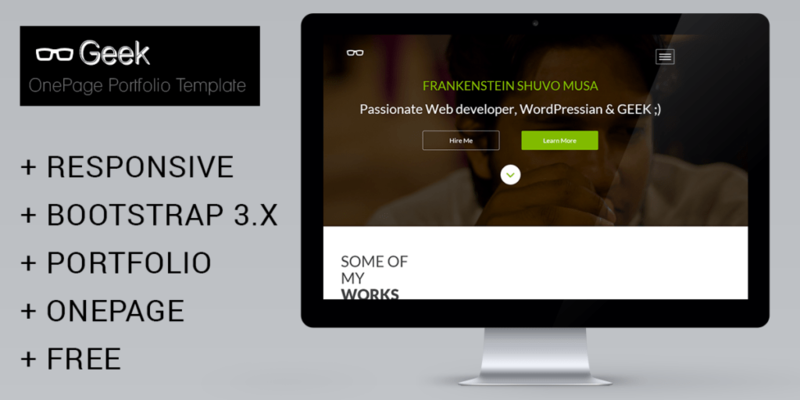 Appee is a multipurpose template that has been developed using bootstrap. It has a responsive and clean design which is easy to customize. Some features of this template are W3C validate, animated, bootlint validate, mailchimp integrated and so on. 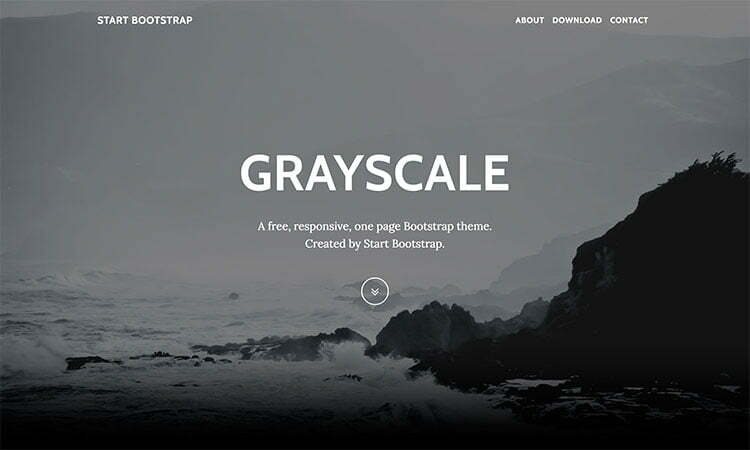 Grayscale is a multipurpose template developed in bootstrap. This one page template features dark colors and smooth animations. Fully responsive, this template supports all browsers. 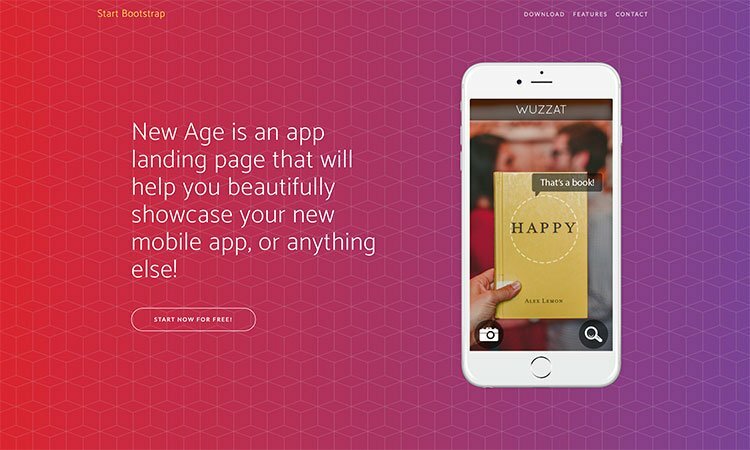 New age is a template that is suitable as a landing page of any product or service. This mobile friendly template has a colorful design, and a fixed navigation menu. Cross browser compatible, New age can also be easily customized. Agency is a one page template that can be used for small business websites. Features of this template are portfolio grid, social media links, responsive, customizable, all browser compatible and smooth page scrolling. Freelancer is template developed in bootstrap that is ideal for portfolio websites. 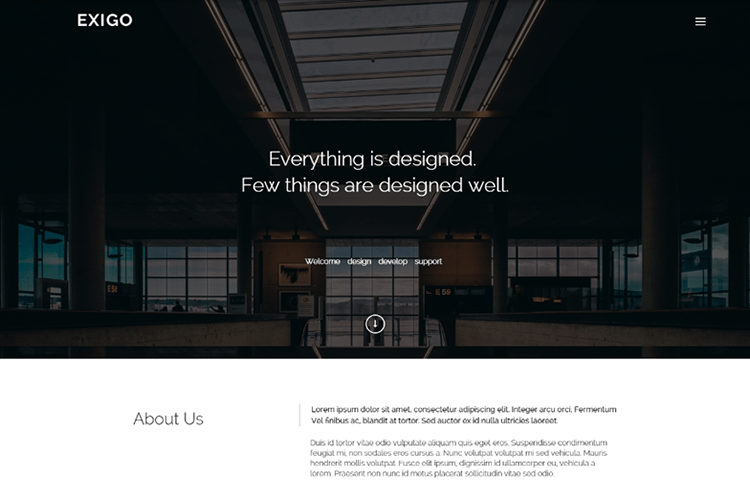 This one page template is mobile friendly and supports all browsers. It has flat icons, fixed top navigation and custom outline buttons. 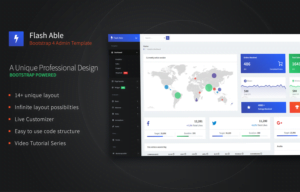 SB admin 2 is a free template in the admin category. Apart from being responsive and cross browser compatible, this template has various features that are necessary in an admin or dashboard template. It includes charting plugins, sortable and searchable tables and social media buttons. Brushed is a free HTML 5 template which is suitable for websites of different types of businesses. It supports 200+ face and custom icons that are retina ready i.e. look clear and sharp on any device. It also has various social icons that help to communicate with clients through various channels. Built with the latest technologies Brushed is also compatible with older technology browsers. Next a free responsive coming soon bootstrap based template is an all around composed modern responsive layout or presentation page expand on top of most recent bootstrap html5 and css3. This theme has a jquery commencement plugin in build. This layout composed with stature quality models to meet the most recent necessity and it is a responsive format fits in all gadgets with multi program support. Are you imagining a Landing Page website which will be flawless, perfect, trendy, well featured and also user friendly? 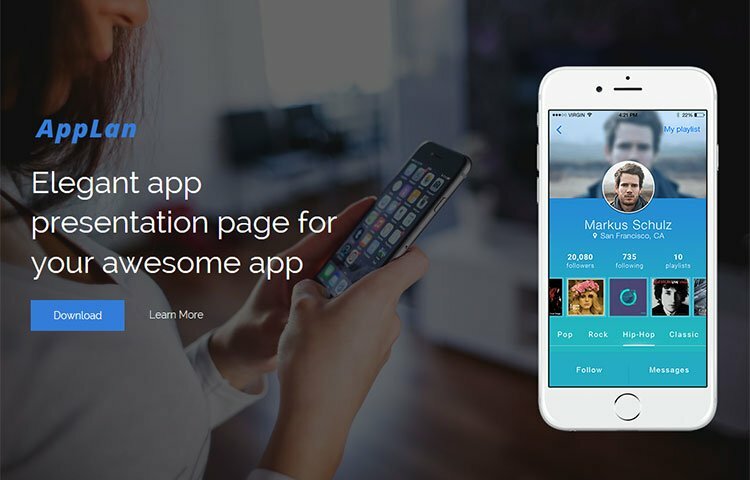 Here app fun v2 comes with free modern Landing Page Template crafted with great care for your Mobile App. It’s a smart App showcase template which built with Bootstrap 3 and organized as well as easy to customize. It could be a better way to present and promote your startup mobile app website. 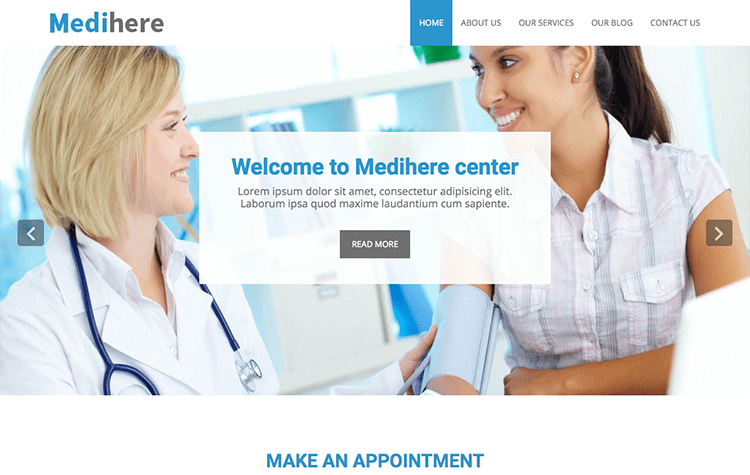 Medihere is a responsive, free CSS and bootstrap template in the medical category. It can be effectively used for hospitals, clinics and other such medical facilities. 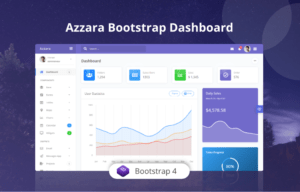 Firstly I have to say that you can build awesome stuff with this Bootstrap framework. Ninestars is a one page Bootstrap template for creative or portfolio stuff. Here something added different in menu, use slide out sidebar menu like website of Google nexus from Codrops site instead of usual Bootstrap navigation. Here SPECTRAL another fine responsive template comes to build your website smoother than ever. This bootstrap based web template will help you to build a better website in any kind of website. This theme is completely responsive and fits in all sort of gadgets as well as simple to utilize every single real program with furthermore perfect. Pink is Free Responsive Bootstrap Landing Page Template. It is free to download template for personal and commercial use. 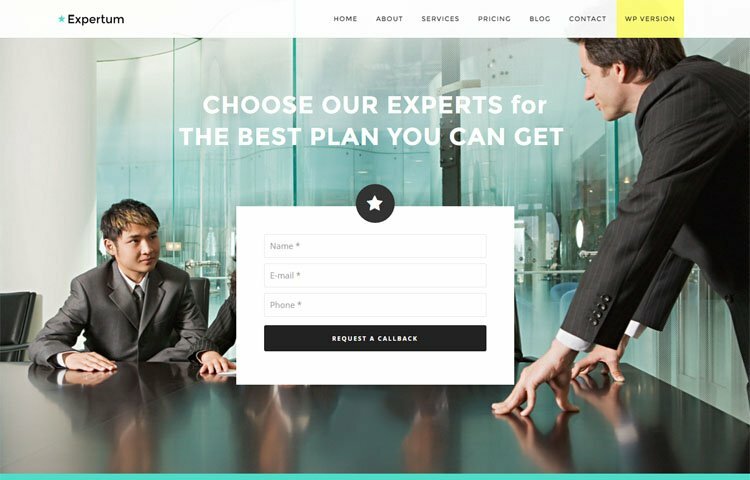 This is an Onepage Bootstrap Business Template that suited for those who run a small business or company. It has the functionality of filter portfolio so you can show you works in a stylish way. Studies Plus is an educational template that boasts of some excellent design patterns. Some features of this template are hover animations, video player, perfect alignments and a good color scheme. It works on all mobile devices and desktops. Counter is a free HTML5 template that is suitable as a landing page for an upcoming product or website. It has a simple yet modern design. It is 100% responsive and works well on mobiles, tablets, desktops and laptops. 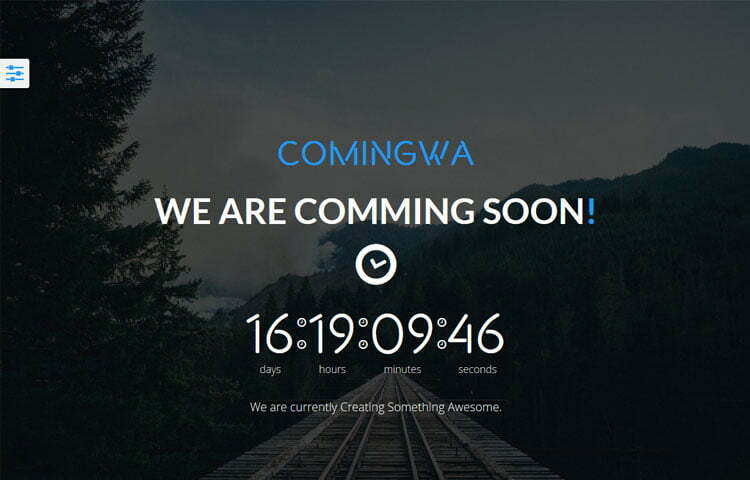 Comingwa is a free template that is ideal as a coming soon page. Some features of this template are mailchimp integration, Google analytics, static background and a full screen slider. It is responsive, all browser compatible and easy to customize. Ernine is an easy-to-use free template that can be used as a coming soon page. It has a fully responsive design, countdown timer and colorful social buttons. It can be easily customized to meet specific requirements. Imminent is a coming soon one page free template with a difference. This template boasts of a 3D parallax effect that gives that landing page a unique feel. It has been successfully tested on various mobile devices and tablets. The coding of the template is well documented making it easy for anyone to customize it. It has SEO friendly features that would help Google to rank the website easily. Layla is a webpage under construction template that has a video background header. The template is fully responsive and SEO friendly. The template has been built using HTML5 and can be customized and uploaded very quickly. The code is documented and you can even contact the team for any help. Some features of the template are all browser compatibility, smooth animation, sticky header, strong user interface and amazing fonts. Lucid is an HTML5 template that is ideal for application landing web page. It is 100% responsive and easy to customize. It has a simple design and animations that look beautiful and well crafted. Preface is a HTML5 template in the personal category. This template is mobile responsive and browser compatible. It has a flat design that is ably supported with good color combination. It has a grid layout and animations that make it look quite presentable. Geek is a one page template built using bootstrap framework. Ideal for portfolio type of site, Geek is responsive, provides smooth scrolling and has and offcanvas menu. Learner is a one page template that can be used for designing a college or school website. It is responsive and has cross browser compatibility. It has social media buttons and enough space to showcase all the content of an educational institute. Victory is a free, fully customizable educational template that can be used for multiple purposes. Its features are Google font support, smooth scrolling and a 100% responsive design. 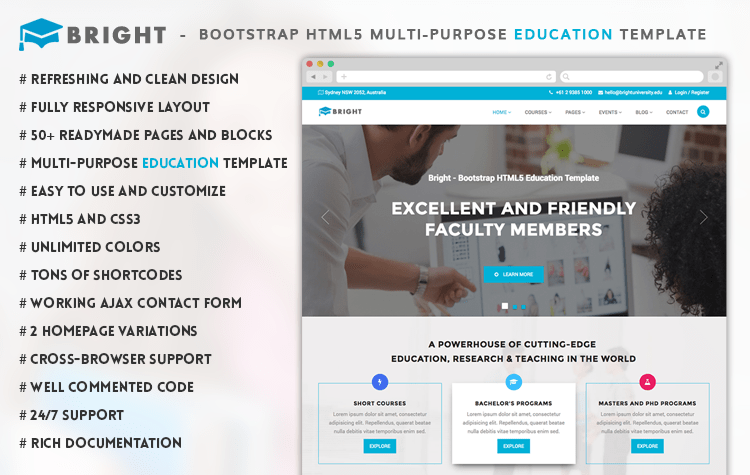 Genius is a modern design template that would provide a beautiful layout for an educational institute’s website. It is mobile responsive, customizable and multi browser compatible. Smart Kids is a free HTML5 template that is ideal for schools, colleges and training institutes. It has a multipurpose theme and a clean and flat design. Built using latest technologies it is fully responsive. Attention is an educational template that can be easily customized to fit any school or universities specific requirements. It has a grid layout and looks great on any type of handheld device. Eduma is bootstrap framework template that has a video background. It can be used for a variety of educational institutes. Responsive and browser compatible, Eduma has business pages like about, service and a contact form. A one page template that is ideal for corporate websites. The page is responsive, quick to load and lightweight. Some features of Brandi include a parallax slider section, service feature, team introduction, contact form and animation effects. The website is fully compatible with all browsers and is SEO friendly too. 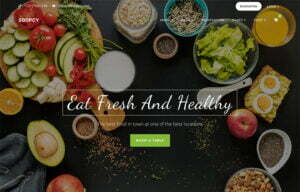 A company website developed by EvaTheme, White Pro boasts of a clean and clear design template. Developed with the latest technologies this template works well on all types of devices and screen sizes. The template has both single page and multiple pages. Some features of this template are slide out footer, animated search bar and a stylish user interface. Lattes is an elegant one page free template which is suitable for businesses and agencies. A lightweight template, Lattes has features such as portfolio grid, fonts and icons, responsive design and navigation. It is an easy to customize template that is supported by comprehensive documentation. 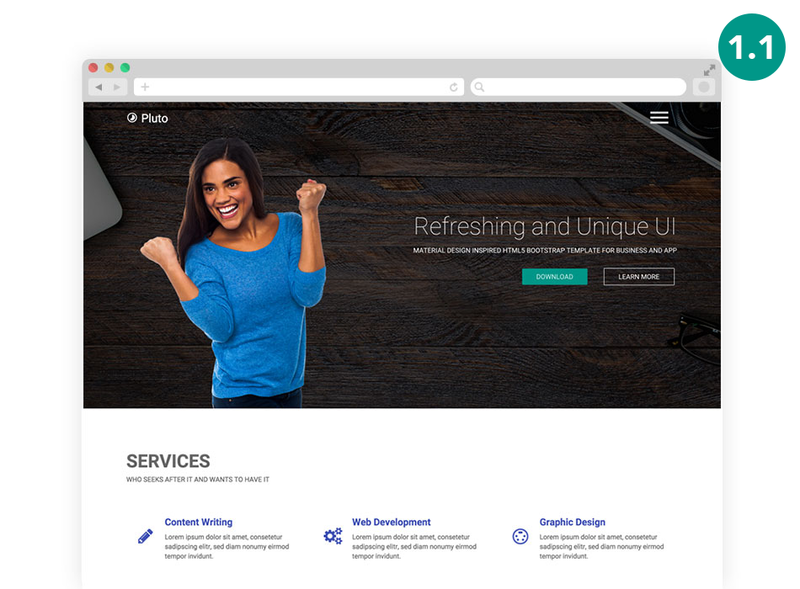 Pluton is a multipurpose landing page ideal for any type of design studio or creative agency. The page has been developed in HTML5 and is completely responsive. It would work perfectly on all types of mobile phones, desktops and tablets. It comes with documentation hence it is easy to customize. Avada is a free HTML5 template that can be used for a variety of small and medium scale businesses. It can be easily used as a product web page or as a blog page. Developed with the latest technology this template is completely responsive and browser friendly. Texas Lawyer is a free template designed to suit various types of law firms and legal services. Developed in HTML5 and Bootstrap, this template works well on all types of handheld devices. This template can be easily used by anyone without any requirement for code know-how. It is an SEO friendly template that has been praised for its unique and creative design. Crew is a free bootstrap based html5 template which is suitable for any kind of websites you have. Crew comes with unique features such as a preset of 8 types color variations, sleek animations scrolling, beautiful and ready to use elements and lots more. Sanza is an elegant one page template that is suitable for various types of creative agencies. Some features of Sanza are responsive navigation, awesome fonts and icons, responsive design and an elegant portfolio grid. Built using CSS3 and HTML5, Sanza is based on the Bootstrap framework. 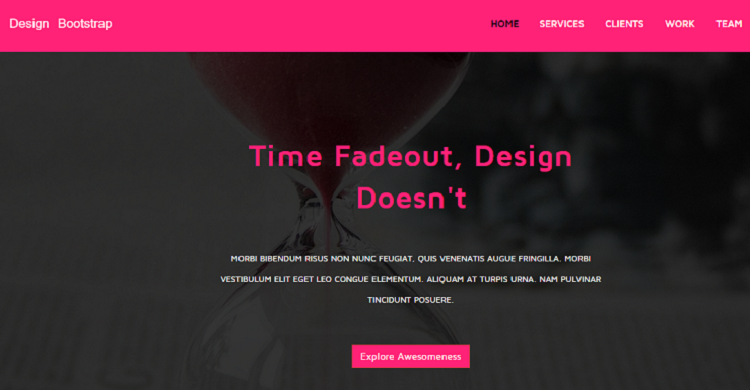 Dark Joe is a free one page template that is ideal for portfolio websites. It has been developed using the latest technologies and is hence fully responsive and compatible with all types of devices and screens. Not for big businesses, Dark Joe can be easily used by freelancers and developers. It is an SEO friendly template that can be customized according to requirements. Kards has clean and modern design that is suitable for personal websites. Some features of this template are stats section, time line items, portfolio section and an ajax form. It is highly responsive and provides clear and sharp images on all types of devices. Letrinh is a free bootstrap portfolio template. It is good as one page website for personal or corporate use. It is responsive and can be easily customized. Its design has some excellent color scheme and a grid type of layout. Bethany is a one page template that can be used for portfolio purposes. It has a minimalist design that looks unique and modern. Compatible with all modern browsers Bethany has navigation, form and various interface components. 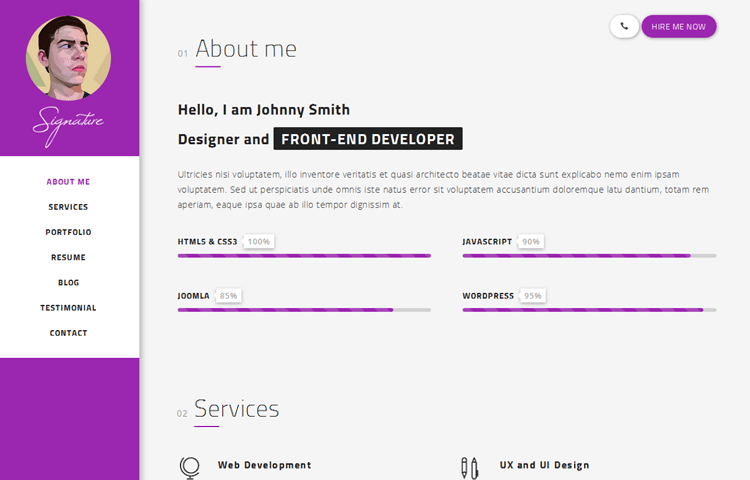 Ideal for freelancers, John Doe is a one page template that has an elegant and catchy design. It has some impressive color combination that looks great on portfolio websites. It is a mobile friendly template that has been developed using HTML5. Light wave is a bootstrap template that is ideal for business websites. It is a one page template that has 6 style options and more than 1000 icons. A fully responsive template, Light wave is also fully documented. Obaju gives you the authority of building an ecommerce site perfectly. Obaju is one of the most downloaded html ecommerce themes which are ready to create an excellent and high performance fashion based ecommerce store. Obaju has 22 free HTML pages ready to satisfy your need. For better support every pricing and the entire essential must-have feature has injected faultlessly. Knight is a free multipurpose Bootstrap html template that comes with fresh, up to date, and multipurpose advancement. This theme is an absolutely one-pager and it features a full height intro to header. It features sections for services, portfolio, clients, team and contact form. This works well as a design agency, business or professional firm. Alissa is an ideal HTML5 template for people wanting to build a subscribers list before the coming of a product or service. It has an email subscription form on the page that can be filled out by willing subscribers. It has an image slideshow, social icons and a countdown timer. It has a light weight and minimal design that helps it upload quickly. Suitable for all kinds of mobile device and tablets, it is 100% responsive template. Asbe is a template for under construction website. It has a clean design and has features such as subscribe form, about us and count down timer and so on. It is an easy-to-use and customize template that clearly communicates to the visitors the release date of your website. It has three color schemes, social icons and some awesome fonts. It is a fully responsive and browser compatible template. 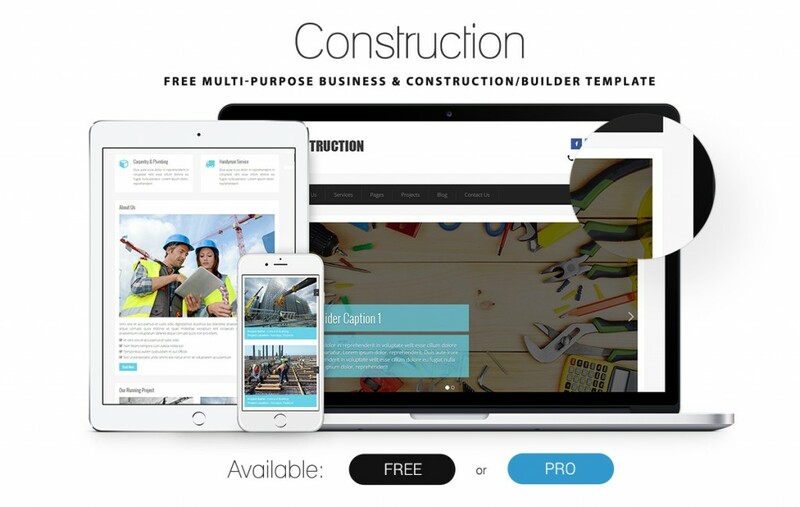 Construction is a free template that can be easily used for construction and building type of businesses. 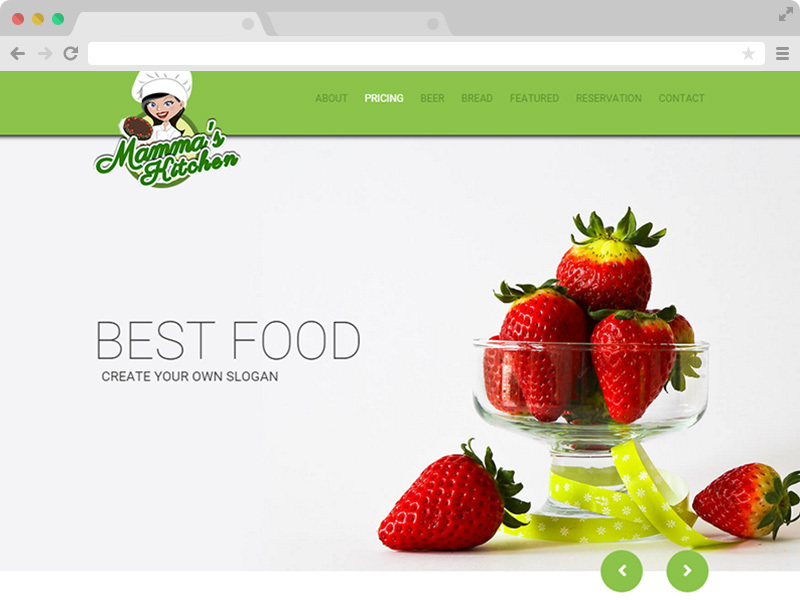 Construction has been built using CSS3, HTML5 and bootstrap framework. It has a clean and clear design and code that can be easily customized. Some features of this template are on scroll animation, integrated Google fonts and a completely responsive design. The template is compatible on all browsers. 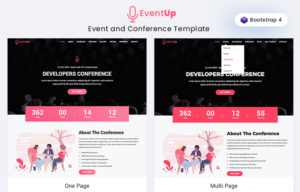 Conference Lite is a free template that can be used for events and conferences meet up type of websites. It has a sponsorship section, speaker section, an event schedule section, image gallery and an FAQ section. It has been inspired and created by real events websites. It has a one page layout that looks equally good on all types of handheld devices. Nuptial is a beautiful template that is ideal for any wedding website. It has features such as sticky navigation, parallax effect and date countdown. It also showcases a gallery section where you can upload wedding photos. It also has a blogging section. Conjugal is a wedding category template that has been built using HTML5. This free template has features like flat icons, slider plugins, hover animations and impressive color layout and design. It is mobile responsive and is cross browser compatible. Outline is a ready to use one page template perfect for landing pages but you can actually customize according to suit your every need. The feature of this template includes fully responsive, retina-ready, smooth scroll, off-canvass menu and content animation upon scrolling. 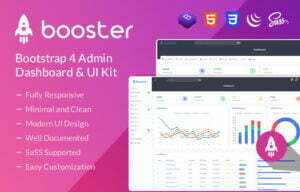 Booster is suitable for landing pages and other related businesses. 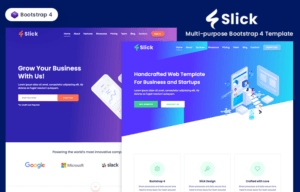 This stylish free HTML5 bootstrap template which has a nice homepage with big and smooth slider and sleek animation on features section. This theme is best for showing off your products and features to the crowd. Boxify is a stylish HTML5/CSS3 template fitting for any type of portfolio or start-up website, but it’s very bendable and can be used for many other projects. it was carefully crafted and enhanced with some smooth effects. Drifolio comes with entire new design configuration to think of your little business account together with popular liveliness. The responsive one page outline of this organization is of interest together with numerous exceptional credits to setup the profile. Go for this sort of no expense position which accompanies CSS3, HTML5 and bootstrap obtains this information. Boxer responsive layout is intended for programming greeting pages. This is based on HTML5, CSS3, Bootstrap 3.3.4 and Font Awesome 4.3.0. This web layout is made alongside a bootstrap stage with respect to most extreme impact. Euro travel is a free travel template that has been built using HTML5, CSS and bootstrap. This template is cent percent responsive and SEO friendly. The template has a clean design and is quick loading. Some features of this template are smooth animation, Google fonts and sticky header. 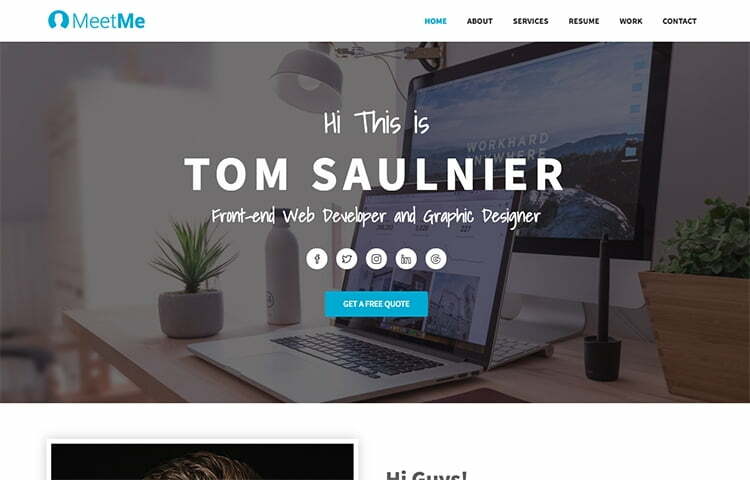 Twenty is a fully responsive template with a clean design. Built using the latest technologies, Twenty is compatible on all browsers. It is a free template for developing travel webpages. Go Vihar is a free template for tourist planners and travel agencies. It is a multiple page template that can be customized as required. It has a clean design that is fully responsive and compatible on all browsers. 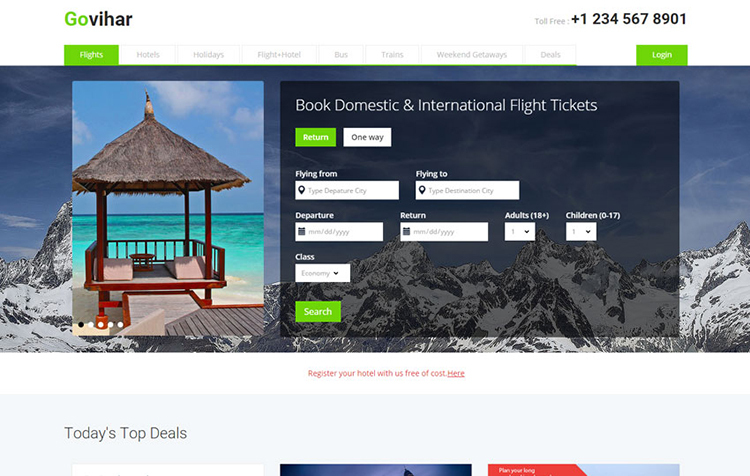 Green wheels is a HTML5 template that is ideal for a bus booking business website. It has awesome fonts, animations, search fields and built-in forms. It has all the features that are required for running a bus travel website. Wanderer is a travel category template that has some beautiful color schemes, excellent images, hover animations and perfect alignment. It is a responsive template that would work well on all mobile devices. Prevention is a medical category free template that can be used for hospitals, clinics and other such medical facilities. It is a multiple page template developed in HTML5 that showcases all the required pages for a successful medical website. Infirmary is a HTML5 free template in the medical category. It has a beautiful design and excellent functional capabilities. The template works well on all types of devices and screen resolutions. It is an easy-to-use and customize template that also provides cross browser compatibility. A Clean and minimal html5 and css3 template for any kind of business, portfolio and other things. It comes with super drag and drop facility to reduce time to develop an impressive website. A creative solution to all kinds of your creative business and you can screen the website on a big or small screen, laptop, tablet or phone as well as any kind of screen. It will always look great. A complete responsive theme with different layout, fixed width, and pixel perfect template that is free to use. You can freely download and use this for beautiful website template. 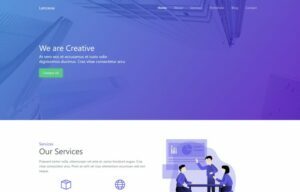 This freebie website design templates have four background selections, multiple color schemes as well as a beautiful full-screen background. It can help to get a better impression in coming soon template in the environment of Bootstrap 3 frame production. Medicio is a free bootstrap based landing page template that is designed for medical and health industry such as doctors, dentists, clinics and another health service company. Medicio has 4 different variations on above the fold on area slider, built in form, call to action button and video. It is also coming with 10 predefined template colors. Voltage is a ground-breaking Multipurpose html5 bootstrap based Theme that exceeds every expectation of yours. There are lots of mesmerizing elements such as smooth parallax, jQuery counter, offcanvas menu on mobile is attached in the template. It also It also has an animation scroll using WOW jQuery plugin. And this modern design template is suitable in all types of websites. Display is clean and minimal free html5 template using bootstrap. This template works absolutely in all devices. It has a lot of features such as, fully responsive tab, latest pricing table, feature list, accordion, and off canvas menu on mobile. Grocery store is a free template designed specifically for the ecommerce niche. This fully responsive template is suitable for online shopping, retail, grocery and other such type of businesses. Some features of this template are hover animations, dynamic shopping cart, slider images and grid design. This is a multi-page template that is also cross browser compatible. Big store is a free HTML5 template that is ideal for various types of online retail estores. This multi-page template has some awesome features like video banner, responsive tabs, video player and correct alignment. This website template works well on all types of devices like mobiles, laptops and desktops. It works well on types of browsers too. Elite shoppy is an elegant template suitable for ecommerce stores dealing in clothes and accessories. Some types of store that can use this template effectively are women and kids fashion stores, Shoes and accessories stores, jewelry and watches stores and so on. Some features of this template are banner slider, progressive numbers, cart plugins and awesome fonts. The template works on all types of handheld devices. 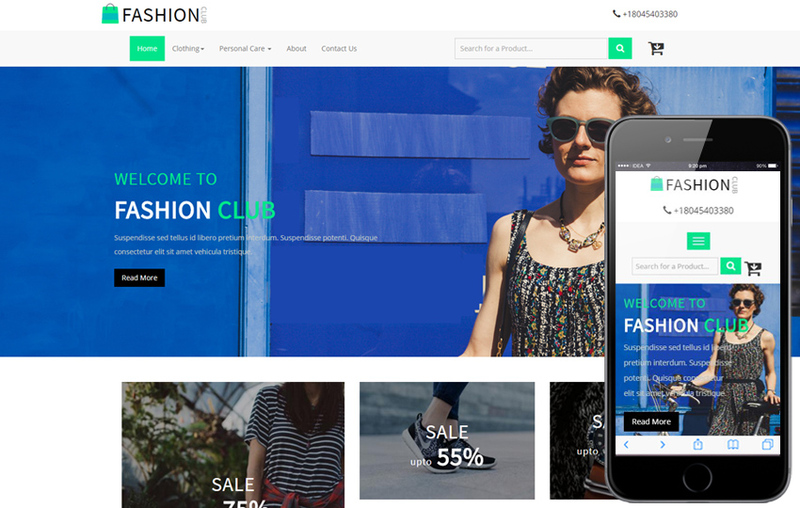 Fashion club is a free HTML5 template in the ecommerce category. It is responsive and cross browser compatible. This multi-page template is beautifully designed with soothing colors and looks on par with sites like jabong and myntra. Ustora is a website template that is ideal for online phone and digital stores. It displays countdown timer for discounted products and has features such as top new products, top selling products and featured products. It is a fully responsive HTML5 template for online fashion stores. Some features of this template are parallax background section, sticky menu, sharp images and grid design. The template is also cross browser compatible. Medilab as the name suggests is a template for hospitals and medical facilities. It a free template developed in HTML5 and bootstrap. It has features like appointment forms, testimonials, doctors, services, gallery items and so on. It is a fully responsive template that is also easy to customize. It has some awesome fonts and great color schemes. It has a well commented code and is ably supported by the team. 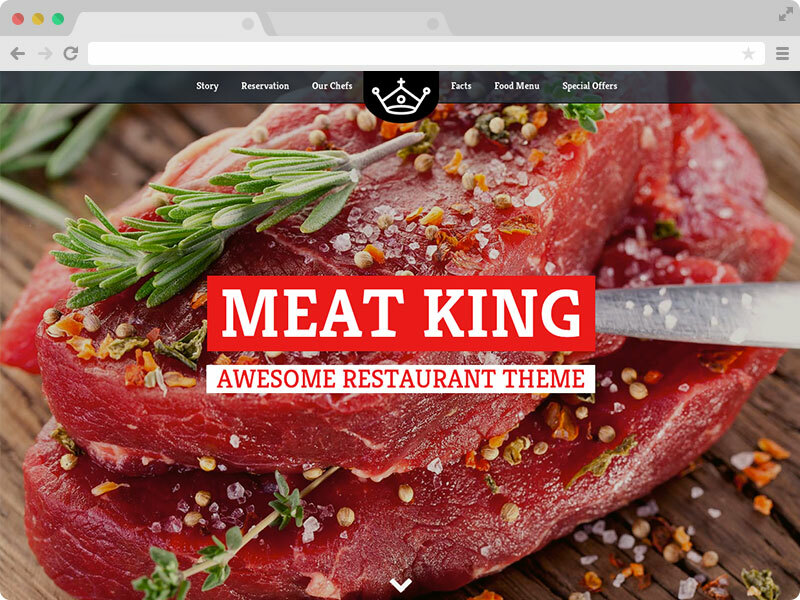 This stylish website template is ideal for culinary business setups. It can be used by restaurants, coffee shops, cafeteria and other such food related websites. It is a one page template with a clean and eye catchy design. Some of its features are parallax sections, centered logo, sticky header and Google fonts. It is a fully responsive, SEO friendly and cross browser compatible template that is supported by its team free of cost. The website template by themewagon is developed in HTML5. It caters to the restaurant category of websites. It has an elegant design which works well on all screen resolutions. It developed using latest technologies and is compatible with all browsers. It has all the relevant sections that a restaurant website needs. It has a clean code which is also easy to customize. Hopefully, you were able to find a template that is perfect for your niche. These templates can also be customized to meet specific requirements. So save your money and effort and use these templates to create an impactful online presence of your business.